Alongside the Honor Note 10, the Chinese giant has also unveiled two new variants of its MagicBook laptop at the launch event in Beijing. These new laptops are upgraded variants of Honor’s existing 14-inch MagicBook, which now come with a touch-screen in tow. Honor has made absolutely no changes to its laptop on the design front, but hands down a choice in the internals. You can pick between an AMD or Intel processor depending on your workload and budget. Starting off with the AMD variant, the Honor MagicBook is powered by an AMD Ryzen 5 2500U mobile processor paired with 8GB of RAM and 256GB of SSD. There’s also the Radeon Vega 8 graphics on board to handle your graphics needs. The other variant is powered by an 8th-gen Intel Core i5-8250U processor. This is coupled with 8GB of RAM, 256GB of SSD PCIE and Nvidia GeForce MX150 for the graphics-intensive tasks. 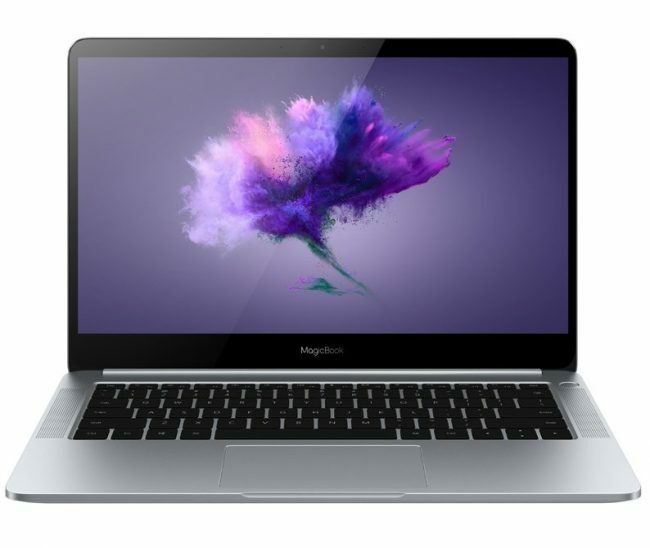 The key differentiator for the new MagicBook models is a 10-point touchscreen display, which boast of a 1920×1080 screen resolution and between 200-250 nits brightness, which is not the brightest display. The touchscreen support Microsoft’s full gesture control, such as sliding, zooming, etc, along with any 4096-level pressure sensitive active pen. They’re powered by Windows 10 Home edition out-of-the-box. As for the pricing, the AMD-powered variant of the touchscreen MagicBook is priced at 4,599 yuan (approx Rs 45,999) and the Intel-powered MagicBook will go on retail starting at 5,699 yuan (approx Rs 56,999). You also get to choose between three color variants, namely Glacier Silver, Starry Sky, and Nebula Purple. These MagicBook laptops are available only in China but we would love to see Honor bring them to India in the near future.